Sometimes a weight loss story just simply breaks through new barriers. If weight loss was an Olympic sport then Peter Ajello would certainly be a contender for a gold medal. He lost 200 pounds in the only 16 months. Not only did he lose a lot of fat, he also trained hard and has built a pretty good physique, certainly something to be proud of on a beach. When CBS heard about his weight loss they got him on The Doctors Show. He was soon called “The Weight Loss King of South Florida” and CBS put him in contact with plastic surgeon Dr. Jason Pozner who would later carry out his skin removal operation. Click Here for his entire story. Pete Ajello learned from the likes of fitness experts Pascal Durand, Kari Williams and former Mr. U.S.A., John DeFendis!! Now Peter wants to share his tips and routines with you! How did celebrity artist, Peter Tunney, inspire and impact Peter Ajello's life transformation? Buy Pete's book and learn how what started as a bet ended in life-altering events! Learn how Pete's Organic Weight-loss Chocolates can be your greatest ally in your journey to burn fat! Weight-loss doesn't start in the kitchen. It starts in your mind! The mental part of weight reduction is the most crucial aspect of getting in shape! In his weight-loss journey, Pete sought out the best fitness experts in the industry, including Pascal Durand and John DeFendis. Now, Pete wants to give you the essential tips and routines he implemented in his total body transformation. "Ch-ch-ch-chia" offers so much more than fodder for late night commercials and white elephant gifts. The seeds that sprout green "hair" and "fur" on terra-cotta heads and animals are a nutritional wonder food. Your body requires protein from food every day to stay healthy. But the real power in protein is in the fact that your body takes quite some time and energy to digest and absorb it. Including protein in most meals will help keep you feeling satisfied for several hours and essentially turn your body into a fat burning machine. 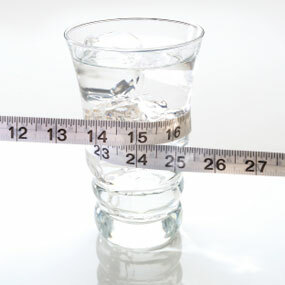 The best drink for weight control and good health is plain H20. It is a great thirst quencher, has zero calories and is used by your body in almost every biological process. For good health and an optimum metabolism you should aim to drink about 6 - 8 glasses of water a day.